The line that connects Dwarka in west Delhi to Vaishali in Ghaziabad and Noida was hit by signal failure between its Karol Bagh and Dwarka section first, and later between 3 p.m and 7 p.m on the entire route. New Delhi: Services on the Delhi Metro’s Blue Line were affected for nearly two hours on Wednesday due to signaling issues on the Karol Bagh-Dwarka section, said Delhi Metro Rail Corporation (DMRC) officials. The snag resurfaced around 7 p.m. leading to the increased frequency on the line. When trains on the route lost contact with the control center, first intermittently then completely, resulting in at last in total “loss of view” for trains on the entire line. According to commuters “The trains during this time took inordinately long halts at stations” even lasting up to 15-20 minutes. The long delay between trains resulted in huge crowded at such stations as Rajiv Chowk, Yamuna Bank and Mandi House, which see a heavy footfall anyway. 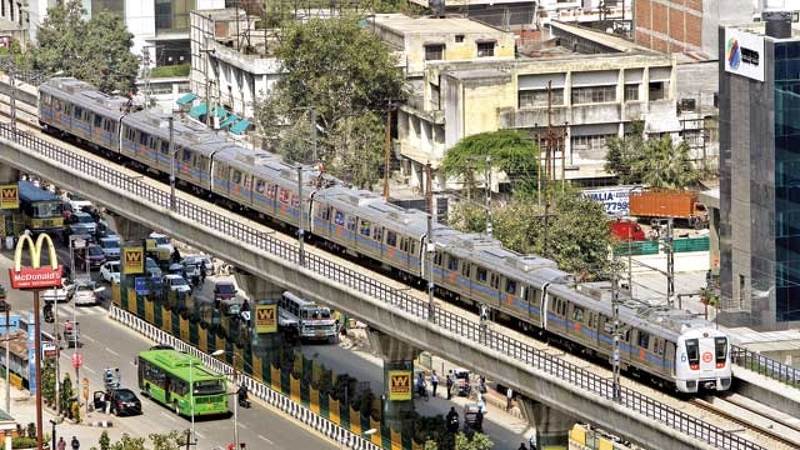 “Even after an hour, the train moved barely three stations and stopped for several minutes at each station,” a commuter, who boarded the Metro from Rajiv Chowk for Noida Finally, the issue was resolved at 4.23 p.m and since then trains were reported to be running smoothly. “The view and control of the signalling and Automatic Train Control system on Blue Line (Dwarka Sec-21 to Noida City Centre/Vaishali) at OCC were intermittently getting lost today (Wednesday) between Karol Bagh and Dwarka section. As a result, trains were being locally controlled as and when such loss happened, resulting in bunching/ hold-up of trains for brief spells.